Gold and silver futures closed lower on Monday for a second session in a row after they fell on Friday from at least four-month highs, snapping five-session winning streaks. Gold for December delivery settled down $10.30, or 0.9%, to $1,172.80 an ounce on the Comex division of the New York Mercantile Exchange. "Gold bulls have been given hope that a bottom is in place as the [Federal Reserve] continues to push their decision to hike interest rates further out on their calendar," MarketWatch quoted Michael Armbruster, principal and co-founder of Altavest Worldwide Trading. But "we look for gold to pull back to the $1,150 level before deciding its next move." The yellow metal traded from a low of $1,170.50 to a high of $1,178.20. 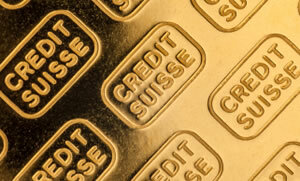 Last week, gold prices advanced 2.4%. On Thursday, they settled at their highest point since June 19. Silver for December delivery dropped 27 cents, or 1.7%, to finish at $15.84 an ounce. Silver prices ranged from $15.74 to $16.04. They rallied 1.9% last week. On Thursday, silver closed at its highest price since June 3. January platinum declined $9.10, or 0.9%, to $1,014.60 an ounce, trading between $1,010.40 and $1,021.50. Palladium for December delivery declined $11.30, or 1.6%, to $688.10 an ounce, ranging from $677 to $702.05. Last week, platinum jumped 4.3% and palladium slipped 1.2%. Gold dipped $5.45, 0.5%, to $1,175.40 an ounce. Silver fell 18 cents, or 1.1%, to $15.86 an ounce. Last week, palladium shed 2.8% while the other metal prices posted gains of 2.5% for gold, 0.3% for silver and 3% for platinum. United States Mint bullion sales started the new week on Monday with gains of 3,000 ounces in gold coins and 699,500 ounces in silver coins. The U.S. Mint has limited sales of American Eagle silver bullion coins since temporarily running out of them in early July. The agency allocated 970,000 coins for this week. With Monday’s gains, 270,500 of them remain. Silver Eagle sales at 38,759,000 for the year are up 9.6% from the same time in 2014. Last year when sales ended at an all-time record totaling 44,006,000, the coins by this time reached sales of 35,351,000.